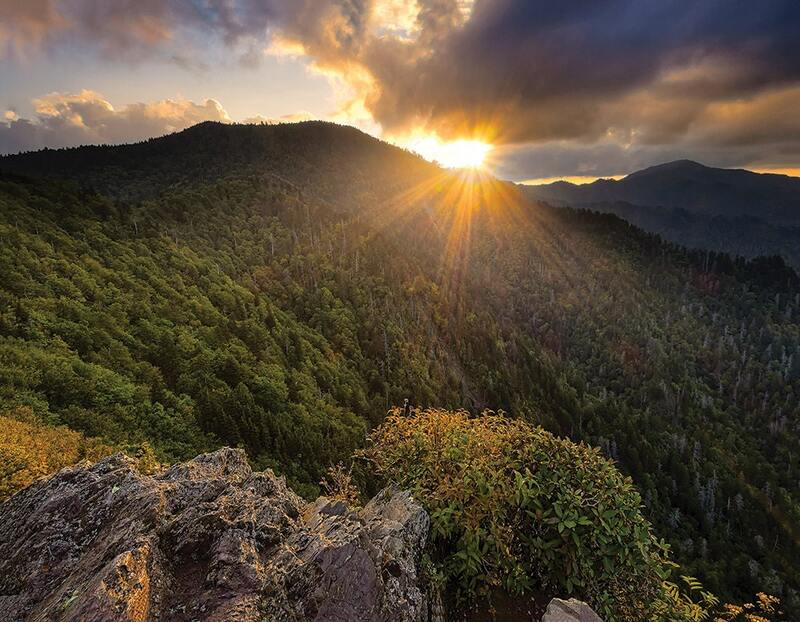 One of the most popular day hikes in the Smokies, Charlies Bunion is considerably quieter as the sun goes down. In the warmer months, the nearby ridges of Mt. Le Conte frame the scene.